What does that person have to gain by being intractable (or a goat)? What does that person have to gain by ignoring the Rede? When people prefer to gossip instead of being real, then those problems morph into pain as they violate the Rede in terms of respecting, or not harming, another human being. If you wonder if these leaders are products of their time, consider the current difficulty I am having with Yvonne. As she reads to prepare for her summer workshops, she starts with her paradigm supporting books from 50 years ago. We went to the library to pick out newer books, but it doesn’t matter to her. She clings to the past, even as I try to bring her kicking and screaming into today’s world. She willingly worked on a computer recently which is a huge positive change. But we found the goat, didn’t we? We are butting our heads against Yvonne’s Old Ways–books and paper and sentence structure that were new and breathtaking in the 1960’s. If you want to help an old leader face the modern world, bring her your new favorite book this summer! We have at least one from a delightful friend which sits by Yvonne’s bedside. When confronted with a particularly nasty block, what does that person have to gain by staying stuck? Yvonne could live many more years, she is healthy, obstinate and that goat on a lead that I am pulling away from the green pastures of her memories in to today. I believe I am helping her, but some days it is hard to see. I reflect frequently on which way better serves the Rede here: to bring Yvonne into today or to allow her to while away her years wishing to graduate. We may not have an answer in this lifetime. The Rede, in reality is so hard to follow. –An it harm none, do what ye will. ͟Is tough (like a stubborn goat). You can’t harm yourself? Piercings and body art interfere with meridian and chakra flow? Yikes! If you are thoughtful with your piercings or body art, they can enhance and heal, but few people are. And even more importantly, do your words harm others? Well, do they? Do I gossip? Do I share “concerns” about others or is that gossip? How do I speak my truth about another human while still honoring the Rede? In today’s world, of the #metoo movement and legitimate sensitivity to how we perceive/touch another person’s body, how do I approach another person without being offensive? When we look at the past through today’s filters, many, many events change their tone. Were they all offensive? When we review the past through today’s filters, many, many events change their tone. Were they all offensive? Did they all cross boundaries? I;m not entirely sure — our filters have evolved. Do I insist upon my way or the highway? How do I speak my truth without crossing the boundaries of harming no one? So many people stubbornly insist upon their adherence to the Rede, but when you pay attention, it is not as true as the speaker hopes! Consider this: speak your truth. Not other’s truth, your truth. Discipline yourself to follow the Rede, not just in your diet or recycling, but in your mind and your words. This is much harder than it seems, but we are in a tough energy right now–a grounding energy, an energy that asks us to be more real, to be our authentic selves. Be careful of your ambition as you strive to move forward. Consider the image of a grazing goat–is she paying attention to her surroundings or just doing her own thing? To transcend Capricorn energy, and make it the best learning for you, you have to pay attention to your surroundings. To be careful that following your ambitions does not harm others. Harm none, including yourself. 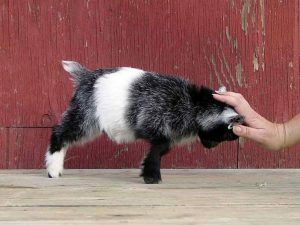 Like nurturing a goat, or a stubborn human being, it’s harder than it first seems. For a fairly balanced description of the Rede , you are welcome to follow this link, although I do not personally agree with the notion that the Threefold Law magnifies energy, many people do. As always, we welcome those who seek. Blessed be, ya’ll. notion that the Threefold Law magnifies energy, many people do.